We’re on a mission to deliver competitive kindness and rewards for doing good. xocial (pronounced social) is an online gaming platform that inspires, measures, and rewards positive actions. We work with you to create engaging campaigns for your brand, cause, office, league, classroom… wherever you want to inspire your audience to make a difference. Our fun challenges are suitable for any type of group regardless of size, age or ability. We provide challenges designed with “XP” points based on the time and effort it takes to complete (pick up trash 5XP vs. give blood 60XP). Competitive Kindness ® inspires the healthiest form of competition which is the drive to inspire, and it is at the heart of what we do. Ready to activate your audience? Put the power of competitive kindness behind your next mission. xocial inspires employee engagement by creating culture defining campaigns that issue challenges in the spirit of Competitive Kindness®. Align company goals with a cause, condition impactful behaviour and reward your customers for taking action. A unique way for you to condition and measure acts of positive impact with groups of all sizes and ages while letting you showcase the results. xocial takes the principles of a successful corporate social responsibility strategy—transparency, authenticity and concrete measurement—and turns them into a customer engagement tool. Think of xocial as a new tool in your belt! Expand your offerings when working with your clients, customers, employees or volunteers. As a xocial licensee or product partner you’ll get access to special resources. 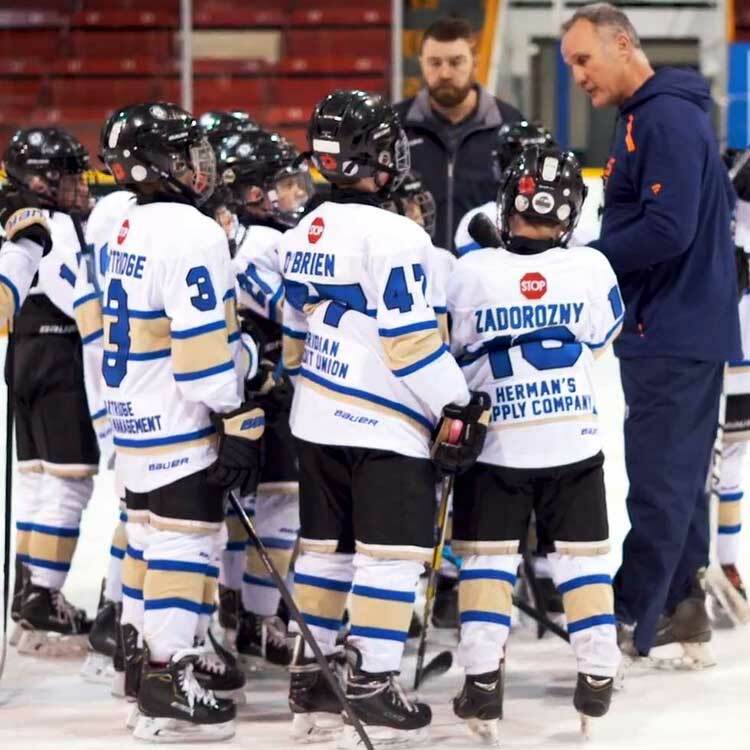 We teamed up with NHL Hall of Famer Paul Coffey and Canadian sponsors Canadian Tire, Booster Juice and World Gaming Network to create SHOOT FOR CHANGE, a socially responsible competition that inspired camaraderie and good works in the community. Congratulations to our winners, The Niagara North Stars! Hoops for Change, is a great way to support youth sports in your community while doing good at the same time. Sponsored by Basketball Canada, T.Litzen Sports and Booster Juice, we’re challenging youth basketball teams to join the competition. The winning team will earn bragging rights as the most socially impactful youth basketball team in Canada and will score some “Rewards for Doing Good” along the way! Score a goal for goodness! We’re challenging youth soccer clubs across North America to give back to their local communities. Starting May 1st, you can recruit people to play on your team. The winning team will earn the title of most socially impactful youth soccer club in North America, with chances to earn some surprises along the way. Batter up! Community Changeup is a campaign to challenge youth baseball clubs across North America to make a difference in their community. Starting May 1st, you can recruit people to play on your team and join the competition. The top team will earn the title as most socially impactful youth baseball group in the country - along with earning some “Rewards for Doing Good”. We’re proud to have taken the pledge. Giving is the very fabric of our initiative. Inspiration is our product. And legacy is our opportunity. To that end we’ve taken the 1% pledge. Our xocial conscious program awards xocial coin to our top players which can be donated to any registered charity on the xocial platform. Instead of measuring popularity, xocial measures positive social impact. Challenges are measured by impact, effort and time. The higher the impact, the higher the “score”. Users and organizations generate an XO Score, a measure of overall positive impact. Detailed reporting provides real SROI (Social Return on Investment). Challenge sponsorship features with visibility metrics. Integrated donation challenges with thousands of causes on board. Teams and sub-teams options are available for groups of all sizes. Leaderboards, notifications, and rewards features track the action and inspire competition. We provide you with all the assets you will need for sponsor outreach and audience communication. Other items available include: a customized domain, widgets for your site, social media integration and intro video(s). We discuss your opportunity to make a difference and define your goals… fund raising, audience activation, culture building, etc. We draft challenges with you and provide assets for sponsor outreach and audience communication. Ready to show off your good side? Play online or download the app.